I am a global flying machine, creative design and perfect modeling make me the best toy for children. 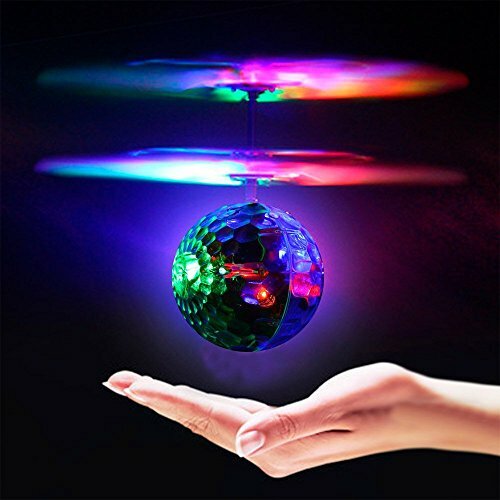 It is made entirely of Abs non-toxic plastic, when I am started, I will emit different LED colored lights, Having a luminous flying ball will make you the envy of others especially at night.The infrared sensor helps you flexibly control the ball and effectively avoid obstacles to ensure a safe landing. The built-in gyroscope keeps the ball's balance, so I can fly steadily in the air. 1. There's a small black on/off switch on the bottom, Slide switch on, and the dazzling LED light comes on. 6. When RC Flying Ball is close to the ground, you should press the remote to reduce the impact of the ball with the ground. If you have any questions about this product by Geekercity, contact us by completing and submitting the form below. If you are looking for a specif part number, please include it with your message.